FOLLOWING COMPLETION OF THE AES® QUESTIONS, YOUR USUAL FOOD AND NUTRIENT INTAKE WILL BE COMPUTED. YOUR RESULTS WILL BE COMPARED TO AUSTRALIAN NATIONAL NUTRITION RECOMMENDATIONS WHICH ARE BASED ON THE SCIENTIFIC EVIDENCE RELATED TO OPTIMISING NUTRITION AND HEALTH. THE REPORT HAS TWO SECTIONS. 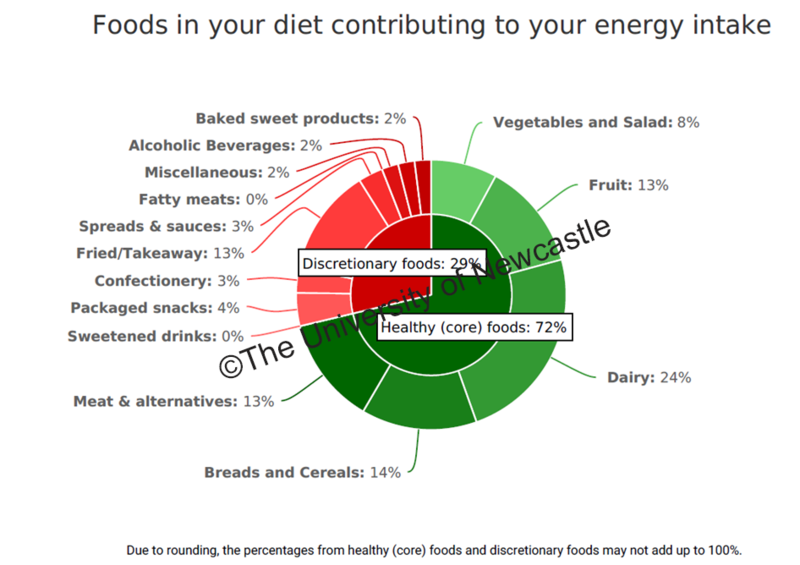 The first section provides feedback on the proportion of specific food groups that you eat in relation to your overall energy intake. Healthy (core) foods e.g. fruits, vegetables, breads and cereals, meat, chicken and fish, meat alternatives, and milk, yogurt and cheese (including non-dairy). 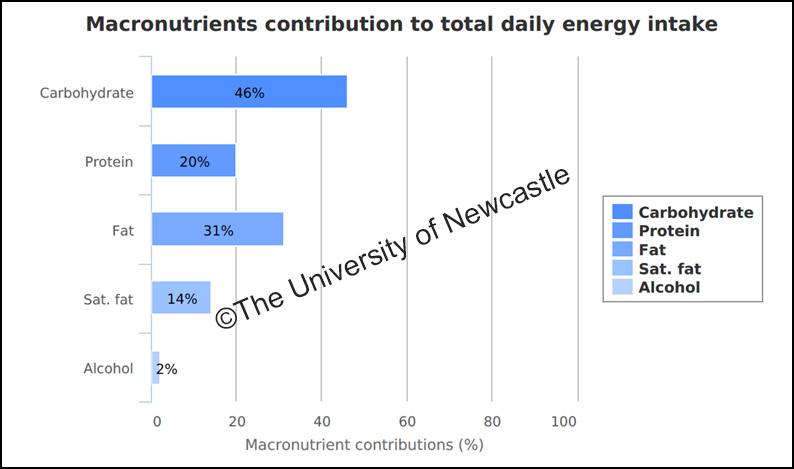 Less healthy energy dense, nutrient-poor foods and drinks, also called discretionary foods, e.g. alcohol, takeaway and fast foods, baked good etc. In this section you will also receive a score for your diet quality based on the variety of healthy (core) foods in your diet. 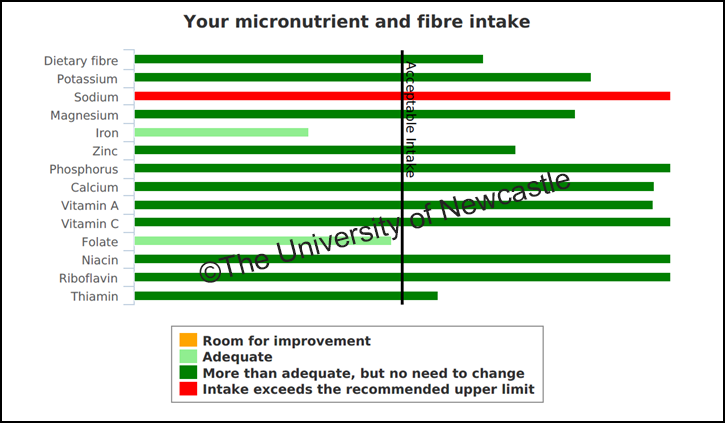 The second section will show how your intake of nutrients compares to Australian recommendations. Feedback will also be provided on your usual intake of carbohydrates, protein, fat and alcohol. You will also receive feedback on your intake of fibre, vitamins and minerals. This feedback is tailored to your age, gender and life stage.